This past week has seen some great new products released for your 1967 Mustang. The guys over at California Pony Parts have come out with a new precision “die cast” replica Running Horse & Corral which looks to be an extraordinary replica of the original. To often we see cheap imports of parts like this though this time the guys at CPC look to have produced a US made triple chrome plated replica which is built to stand up to the elements for many years. - All made in the U.S.A.
1-888-225-7669 or visit our website at www.calponycars.com. 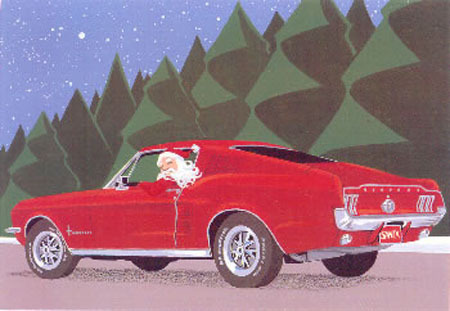 This entry was written by by 67mustangblog.com (67mustangblog) and posted here on Monday, October 15th, 2012 at 2:57 pm and is filed under Parts. This article was not written by us, rather gathered using RSS feeds listed here. We take no credit for this article. You can leave a response, or trackback from your own site.